At ITAG we have two different options when buying a used semi truck or used semi-trailer. Used heavy equipment or construction equipment is for sale the same two ways. We have a retail side with units on site and a wholesale online side with units that are not on site. ITAG has satellite locations throughout the lower 48 states but the office at 4325 East US Highway 377, Granbury, TX 76049 is currently the only stocked and staffed location. We are a licensed and bonded semi truck and trailer dealer in Texas. We also sell our trucks, trailers, and equipment all over the world. We have a limited selection of units that are on site at the Granbury, TX facility and our online selection that is vastly better stocked but not on site. ITAG’s online truck, trailer, and equipment selection are wholesale priced. ITAG shipping rates are kept at our cost to provide the best most affordable shipping options on the market. 99% of everything we sale even the inventory on site is sold sight unseen and we deliver. The tractor trucks and semi-trailers on site are obviously readily available to inspect at will. The online selection is not on location nor available for showing but we provide as many pictures, specifications, video as well as offer third-party inspections at an additional cost. Typical inspection cost runs from around $150-$300 (USD) depending on location and inspector availability. ITAG uses www.nationalinspect.com for all of our third-party inspections. If you need example reports to see what kind of bang for your buck you’ll get on the inspection please let us know. All online wholesale priced used semi trucks and used construction equipment or used heavy equipment is sold exclusively pending a third party inspection. The only time our second-hand semi-trucks or heavy equipment is sold without a mandatory third-party inspection is if the unit is on site at our stocked and staff facility of used tractor-trucks, 18 wheeler trailers, and yellow iron equipment. We work incredibly hard to provide as many detailed pictures, specifications, and information of each used 18 wheeler semi truck, tractor-trailer or construction equipment sold. We strive to exceed your expectations at every level. We want to earn your trust and business while offering the most affordable wholesale pricing on name brand equipment as possible. Why pay more for the same equipment anywhere else? ITAG shipping rates on all open deck semi-trailers range from $500-$900 as a load-out rate. Open deck semi-trailers range from flatbeds to drop decks to lowboys to extendable flatbed trailers to double drop deck trailers to step deck trailers to most any kind of trailer with a flat deck on it that can be loaded out. You are essentially ride sharing with available loads that can be put on the trailer while en route to your location. As long as you have a good GPS address we can deliver to your doorstep. Most all of our open deck trailers are delivered with a new DOT inspection and by being loaded out are “road and load” tested before arrival. This ensures our customers receive quality units with kinks already worked out. The DOT inspections ensure our carriers are working with reliable used semi-trailers to make money with along the way. Not all ITAG used semi-trailers come with complete coverage from A to B. If you are buying a low-quality unit then more risks are associated with the delivery and additional cost such as DOT inspections and repairs along the way are at your expense. We will let you know if this applies to you. Expedited shipping on these 18 wheeler trailers is available as well. Expedited shipping typically runs from as low as $1.75 a mile to as much as $3 a mile depending on location and semi truck driver availability. We only use A or B commercial carriers and as competent and knowledgeable truckers as possible to deliver our customer’s trailers. We ensure they have proper trucking insurance coverage as well as commercially licensed truck drivers for the trailer being pulled. Other types of used semi trailers for sales such as end dump trailers or grain hopper trailers or side dump trailers are more challenging to ship via load-out rates. 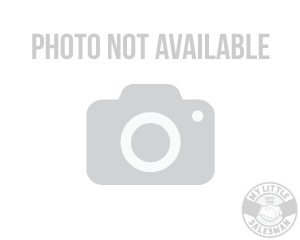 These tractor trailer types cost in the same vicinity as the expedited shipping options. Used semi trucks carry the same expedited shipping costs as well. Trucks can be shipped one of two ways. Either driven to you by a CDL driver or loaded onto a trailer and shipped to you. Additional loading or unloading costs could be required depending on the trailer type used. The used heavy equipment, construction equipment or cranes for sale can have shipping rates that vary. Depending on disassembly or reassembly cost or special permits needed to deliver. Permits can range from over width to overweight to over height to escorts needed, etc. We will advise you of equipment shipping cost according to the purchase made. Overseas ocean shipping to any seaport in the world we can handle as well. Shipping and delivery times cannot be promised or guaranteed by anyone at ITAG. 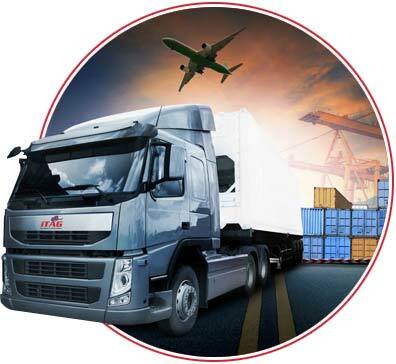 All deliveries are dependent on a number of factors from the weather to driver availability to load availability to pick up and delivery locations to a multitude of factors outside the control of ITAG. At any time after the purchase is complete you are welcome to pick up the unit purchased yourself. If you are in need of the unit purchased at an earlier date than what ITAG can provide then you are encouraged to pick it up yourself or hire another party to do the delivery. 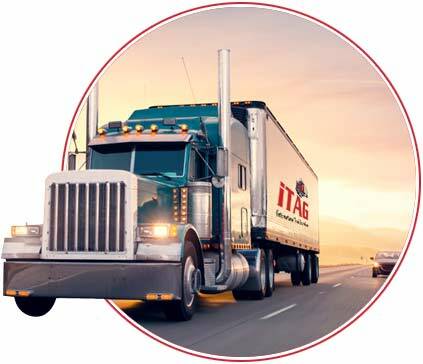 ITAGâ€™s delivery options are not the only shipping options available as there are many other carriers nationwide that offer these same services. Our shipping option is likely the cheapest as we do not mark up the freight as our only interest is in getting units delivered as fast as possible. 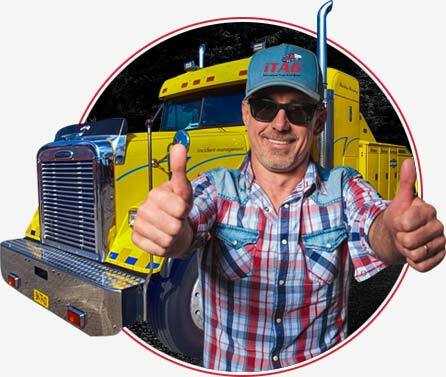 ITAG offers third party semi truck warranty packages via Truck Masters Warranty Programs on used tractor trucks that vary in availability and price. 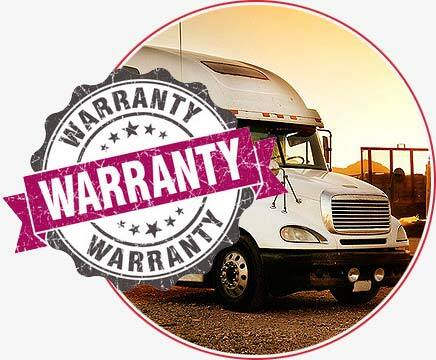 Semi-Truck warranty availability and price varies based off of year model, ECM verified miles, overall inspection, and condition of the truck. Not all 18 wheeler trucks qualify. We will advise you of Truck warranty cost and availability. We do not sacrifice our desire to do good deals with folks for any amount of profit. It’s more to us than just a solid one-liner to stand behind or a cheesy line that sounds good. It’s the ITAG way of life. We have a great staff of good, honest and hardworking folks at ITAG who go home to their families each night knowing that the customers they served that day got a good honest deal. Knowing they didn’t have to lie or bamboozle anyone to “make a sale”. None of our staff is paid on commission. We all work together to provide the best buying experience that we can offer. Nobody is perfect and we might mess up from time to time but it’s not from a lack of effort or from any malicious intent. When we are doing good honest deals with our vendors to our customers to our carriers to subcontractors and beyond we trust that people will respect that and want to continue to do business with us. We are a Veteran owned company and offer military discounts to all U.S. Citizens who have honorably served our country in the Army, Navy, Air Force or Marine Corps.